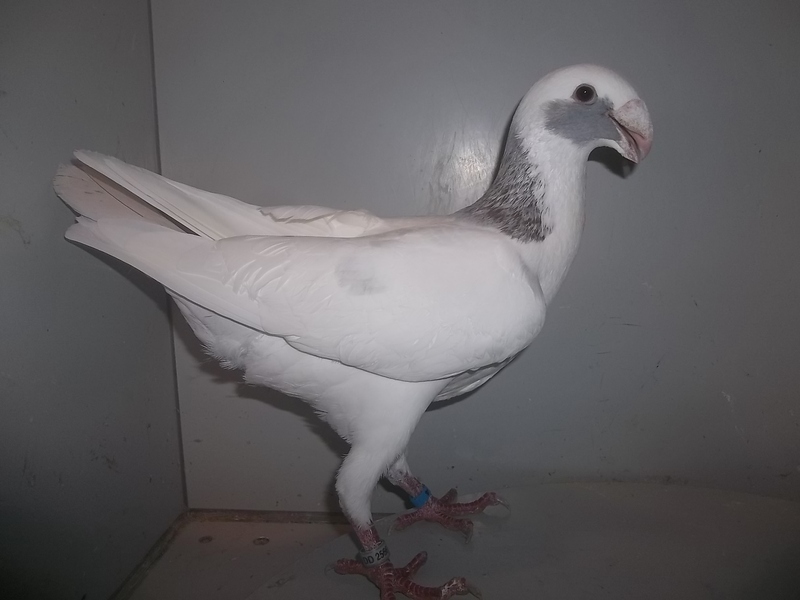 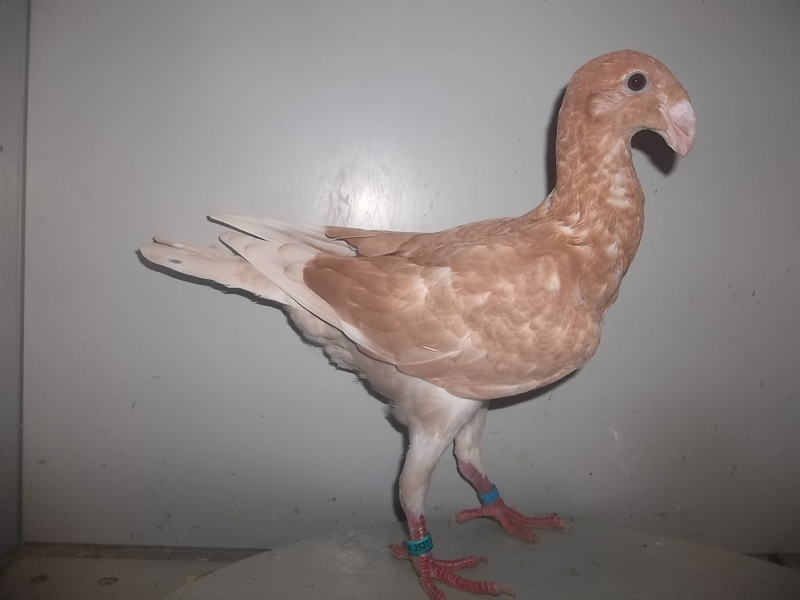 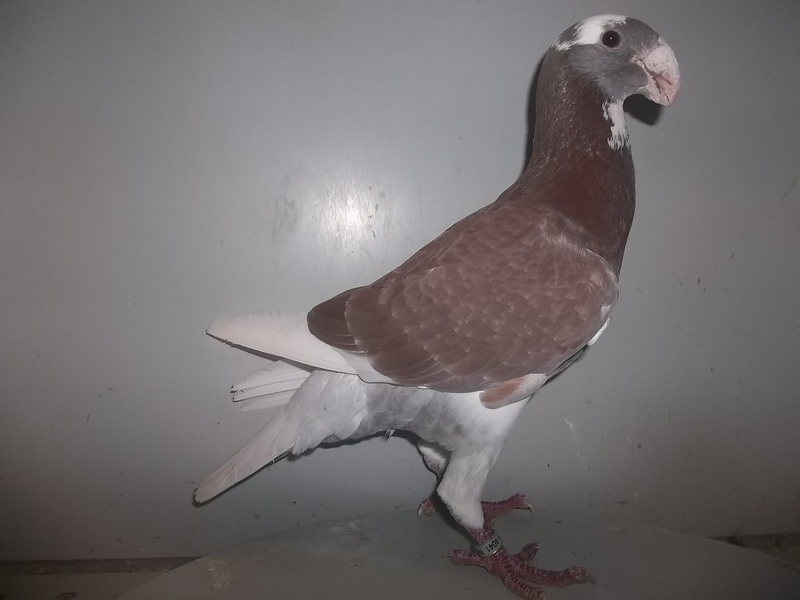 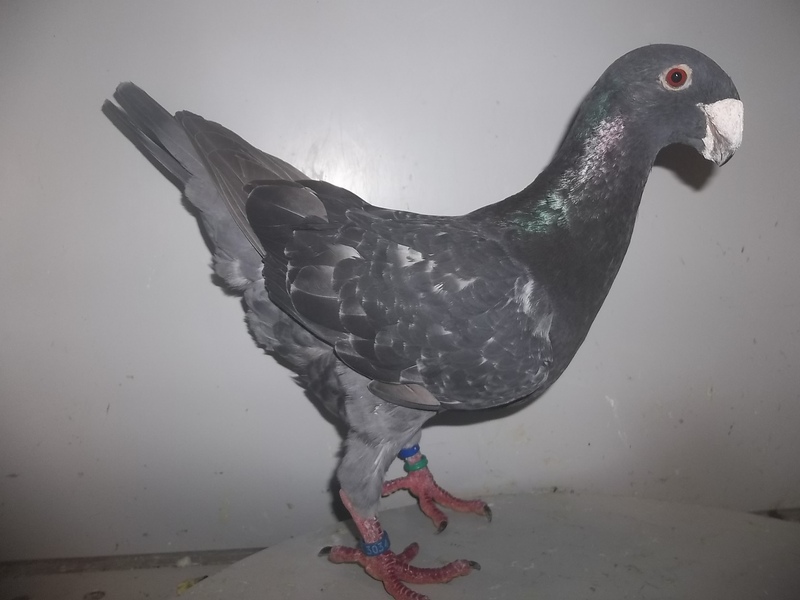 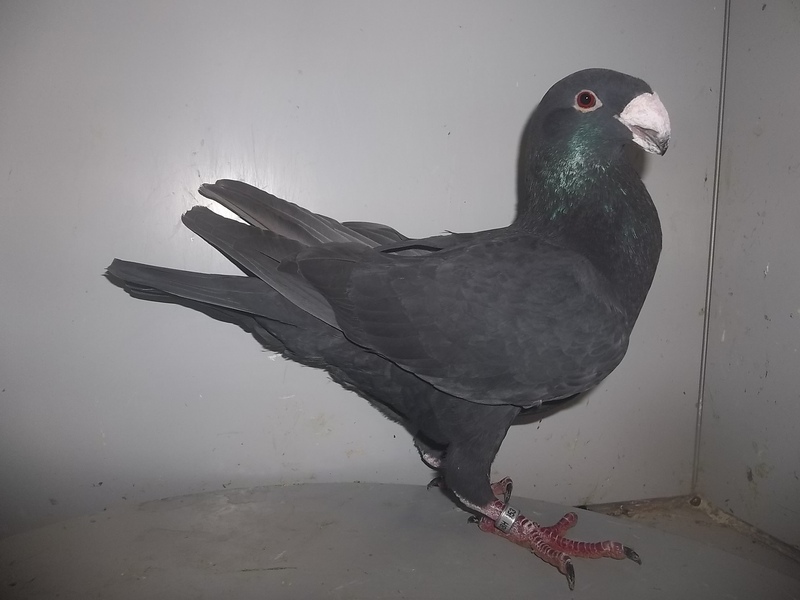 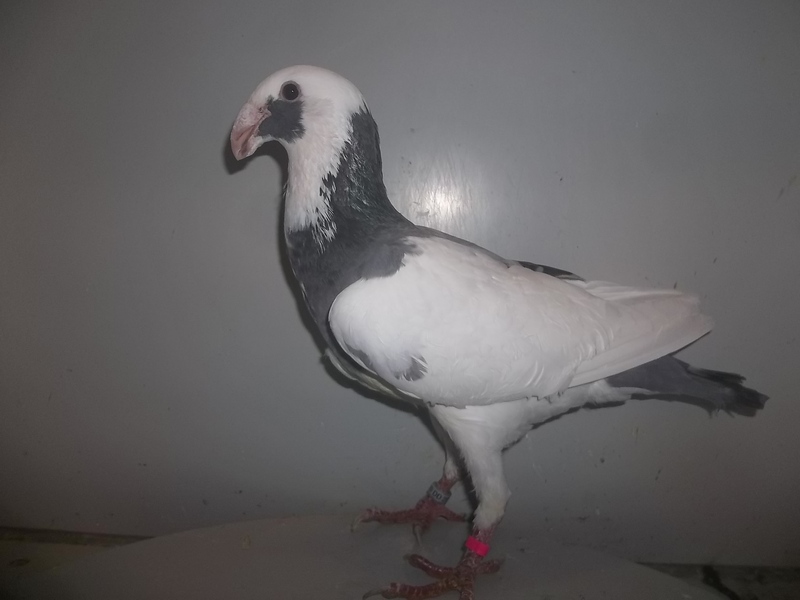 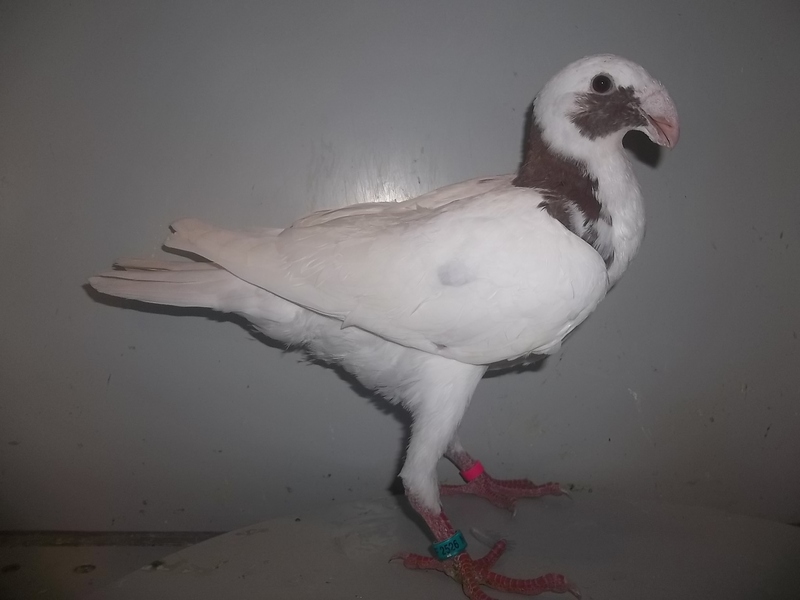 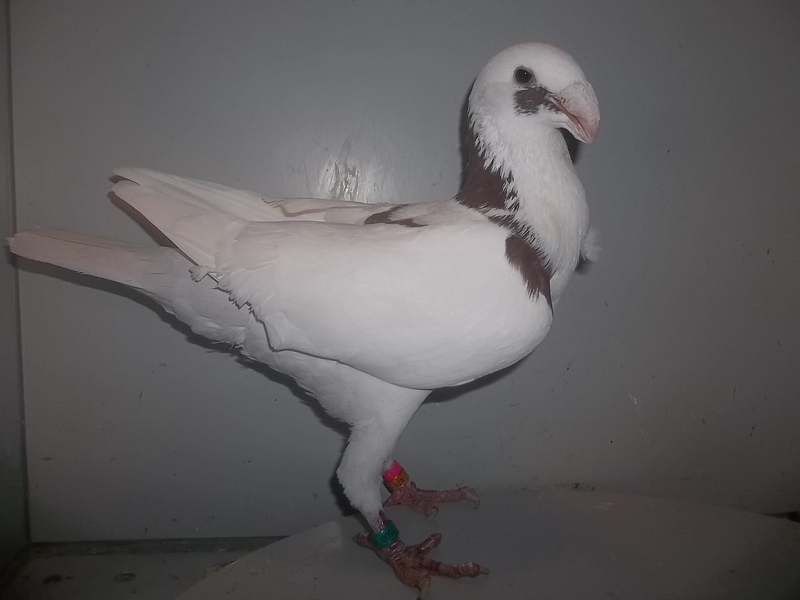 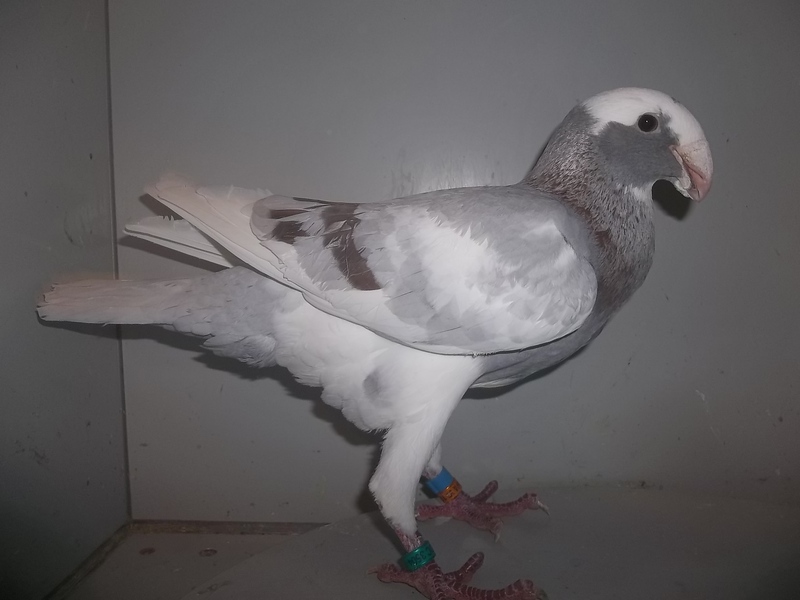 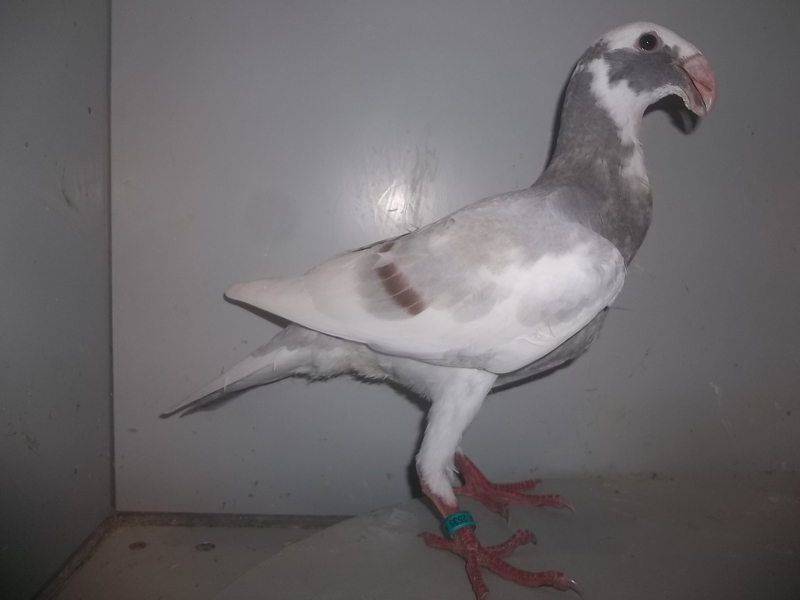 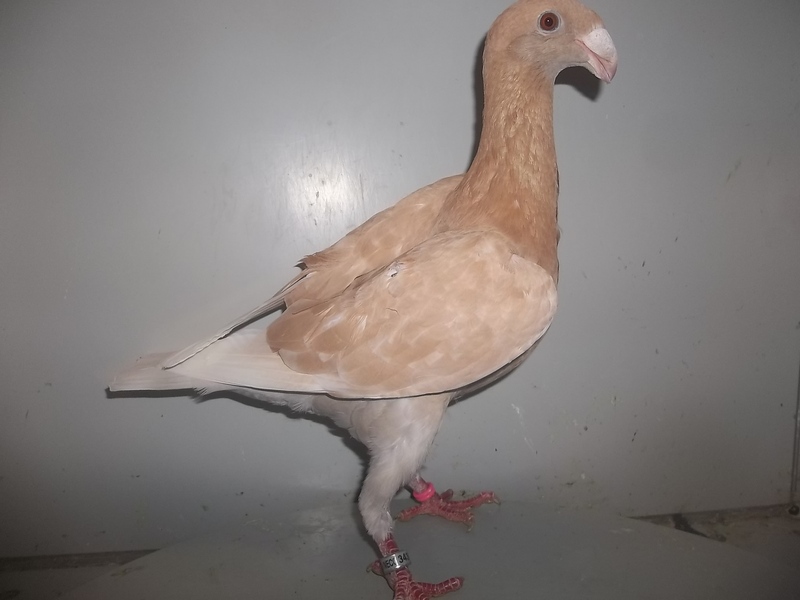 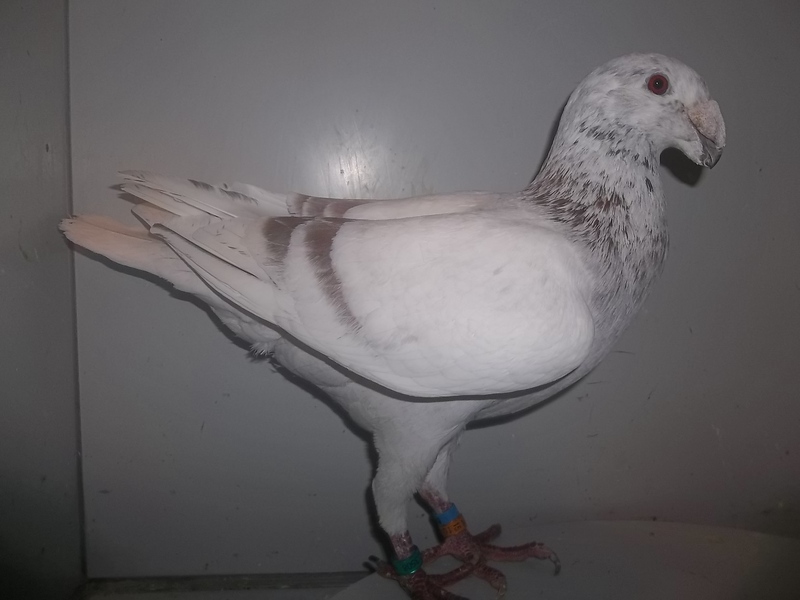 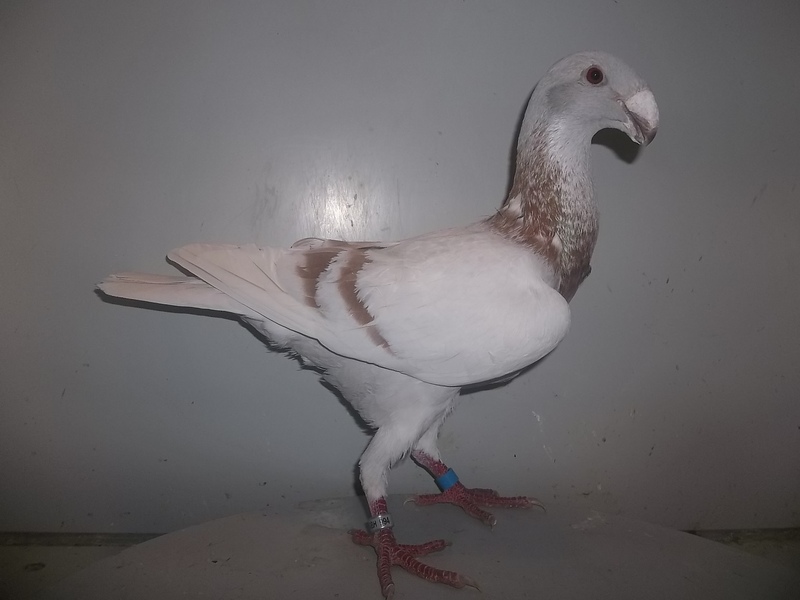 The German Beauty Homer is a breed of fancy pigeon developed over many years of selective breeding, from German racing pigeons. 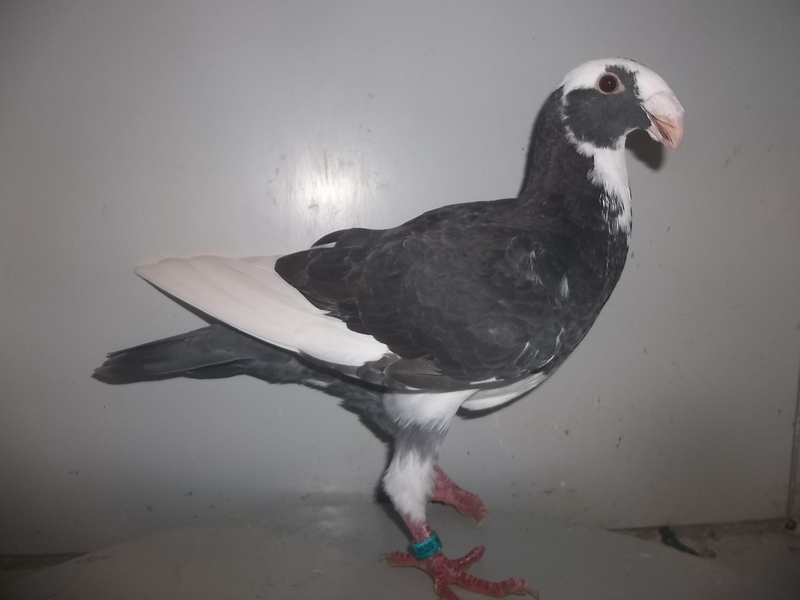 German Beauty Homers along with other varieties of domesticated pigeons are all descendants from the rock pigeon (Columba livia). 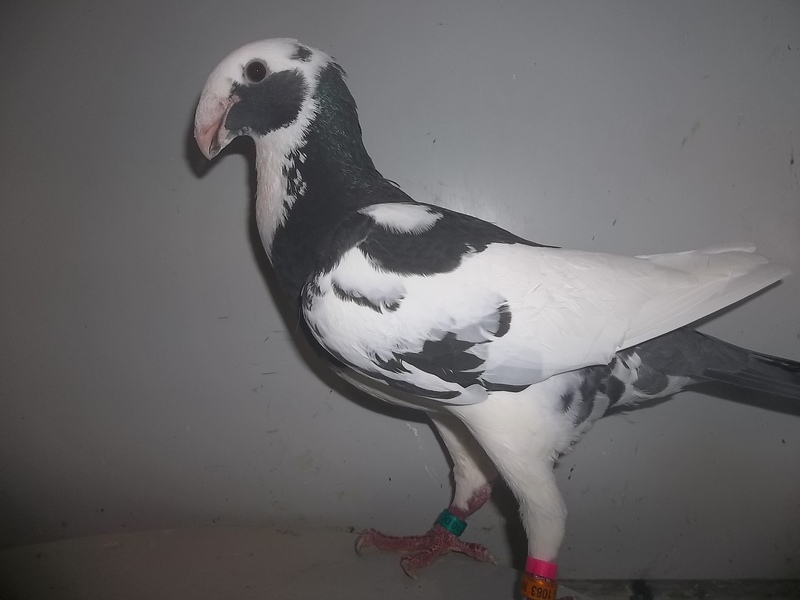 The breed was first developed around one hundred years ago. 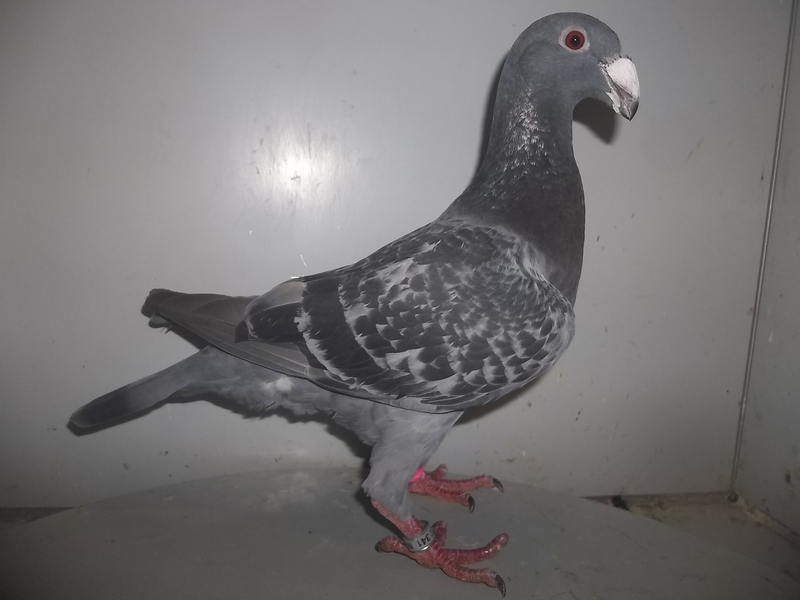 18 NPA 2520 Splash Hen?